LOOKING FOR A SPECIAL DEAL ON BUSABOUT TRIPS??? The great guys at Busabout always have fantastic special offers with up to 20% OFF selected trips. In 2015 the great people from Busabout expanded from Europe and started offering trips to Asia. 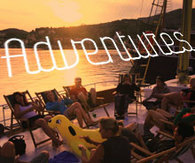 Busabout has plenty of Special Offers available across their wide array of Busabout Asia Trips. You can save Up to 20% on selected tours. Busabout commenced back in 1988 when they linked up the best cities and destinations in Europe for the independent traveller via their flexible hop-on, hop-off bus network. Busabout is still the pioneers of this freestyle form of travel and they have an enormous passion to show their customers all the best that Europe has to offer. Busabout has expanded over time and now includes amazing adventures like Greek Island Hopping, Sailing in Croatia, Eastern European treks, and exploring the ancient lands Morocco and Egypt. The Busabout crew are essentially travellers themselves, so they know you're looking for with a flexible approach to Europoe. If you travel with Busabout it might not just be there people that show you around the place, as you might want to get around and explore destinations yourself. One thing is for sure, when you travel with Busabout you will be given plenty of choice. When traveling with Busabout, you will be assured to have the time of your life. Busabout also has a "Book & Go" guarantee. This means that once you have booked your trip, it is absolutely guaranteed to run. Unlike other tour operators, Busabout will never cancel you trip. Explore Europe the flexible way with Busabouts Hop-on Hop-off travel pass. These travel passes give you the independence, choice and flexibility to design your own trip the way you want. How does the Busabout Travel Passes work? It is very simple, you can hop-on and hop-off the Busabout network throughout Europe. These travel passes are fanstastic for the independent traveler. With the Busabout travel passes you can design your own trip, see what you want to see and spend as much time in one place as you like. Your travel sectors can be pre-booked online or with a Busabout Guide on-board the coaches. If you want to change your mind that is not a problem as you can amend your bookings as often as you need to. However, during peak times in July and August, or during the busy Festivals like Oktoberfest and Pamplona, you need to be careful as bookings can get pretty hectic. The best thing about Busabout is there is plenty of time to do your own thing. Busabout coaches come along every couple of days in each overnight stop. Busabout Asia Trips suit all budgets and tastes. From Thai’s party islands and the vivacious Hanoi, all the way to the epic Angkor Wat. Feel the sandy beaches, see towering temples, smell the rich incense, and taste both the delicious and strange. Get ready for an explosion of the senses! With Busabout Adventures Trips you can greek island hop, hit all the clubs in Ibiza, go sailing in Croatia and Turkey or check out the amazing culture in places like Spain, Italy, Egypt and Morocco. Eastern Europe is the place to be right now. Here you can find amazing destinations, brilliant scenery and vibrant cultures. Check out the Balkans regoins and countries like Poland, Hungary, Bulgaria and Romania. With Busabout you're able to check out the largest, most amazing and wicked festivals going around. Busabout does all the big ones like Pamplona, La Tomatina, Oktoberfest, as well as some local festivals. A Busabout group of four discount gives a 5% saving per person when four or more people book at the same time on the same trip. Travel with 10 friends who all book on the same trip at the same time and everyone saves 10%. The Busabout Student Discount for ISIC / ISE / ITIC card holders will help your travel budget stretch that little bit further. Plus the Multi Trip Deals and Mates Rates discounts above are applicable on top of the Student Discount.